THE COMPETITION AND Consumer Protection Commission has summoned motor insurance providers to appear to give evidence over suspected breaches of competition law. The commission is beginning an investigation into possible breaches of competition law, due to industry players openly signalling upcoming increases in premiums. In a statement, CCPC chairwoman Isolde Goggin said these sort of statements could result in “a degree of unspoken co-ordination” between rivals. “Statements by senior industry players have raised serious suspicion as to whether there is a link between these messages and subsequent price increases,” she said. The evidence collected through both the witness summonses and the information requests will assist us in establishing whether there has been a breach of competition law. Fianna Fáil welcomed the decision. “Over the last 18 months, Fianna Fáil has been consistent in highlighting this,” Transport spokesman Robert Troy said. “Over this period of time, Fianna Fáil used its private members time to raise, and discuss, this issue in Dáil Éireann. “Unfortunately, the Government have been asleep on the job, putting the interests of big business ahead of motorists,” added Troy. The last 18 months have seen premiums sky rocket, as the Government dragged its feet on this crucial consumer issue, putting more and more pressure on motorists. Sinn Féin Finance spokesman Pearse Doherty also welcomed the CCPC’s witness summonses. “This is not the first time the CCPC has called in the industry over the ‘signalling’ of price rises,” he said. The fact that they have acted now is, I believe, down to public pressure after a series of public hearings held at my request in the Oireachtas Finance Committee this week and last. “It is concerning though, having given a warning to the industry for the same offence only recently, the CCPC has to act again. It seems the insurance industry is not too put out by the CCPC. “We have heard an incredible amount of spin from the insurance industry in recent times. It does not stand up to any scrutiny though. Fine Gael MEP Brian Hayes welcomed the investigation, but cautioned against blaming insurers. “Consumers are angry at this growing problem and rightly so,” he said. “There needs to be more transparency as to why premiums are being increased. And I think we need to aim for a system which allows for fairer pricing. A rise of 38% in premiums in one year does not represent fairness. In a statement, FBD Insurance said it welcomed the investigation, but blamed the high cost of motor insurance on “the relatively high cost of bodily injury awards”. They also called for increased powers for the Personal Injuries Assessment Board. Tomorrow, the Oireachtas Joint Committee on finance, public expenditure and reform, will meet with the Taoiseach, representatives of the Injuries Board and with the Society of Actuaries in Ireland to resume hearings on the rising cost of motor insurance in Ireland. The meeting will be broadcast live on Oireachtas TV at 11am. 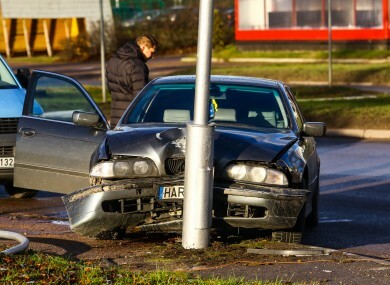 Email “Car insurance: Commission investigates possible 'unspoken co-ordination' between firms”. Feedback on “Car insurance: Commission investigates possible 'unspoken co-ordination' between firms”.